Three years ago Riva Tims lived through a high-profile scandal that ended her marriage, stripped her of a thriving ministry and left her with virtually no income. Last fall her ex-husband, Zachery Tims, was found dead in a New York hotel room. Now Riva opens up about the details of her journey—and how God has brought her new life. The roar of the engine at 30,000 feet couldn’t silence the noise inside Riva Tims’ head as she flew to New York City last fall. It had been less than 24 hours since she’d learned that Zachery Tims, her ex-husband and the pastor of an 8,000-member church in the Orlando, Fla.-area had been found dead in his hotel room. How is this happening? Maybe there’s been a mistake. Maybe it isn’t true. I’m not ready to lose him yet. It just didn’t settle with her, even while she held her children’s trembling bodies as they cried upon hearing the news. Inside, she held on to a faint hope that maybe this was all a sick joke. But as she stood in the cold morgue and stared at a picture of the lifeless body of the 42-year-old father of her four children, it finally hit her, as if part of her had also just died. She knew the feeling all too well. Only a few years earlier, she had experienced another death of sorts. After a seemingly picture-perfect, 15-year ministry marriage to Zachery—they regularly appeared side-by-side as hosts of the Trinity Broadcasting Network’s flagship show and in 2006 were featured on the cover of Charisma—everything changed when Zachery confessed to an affair. Their two-year separation and eventual divorce seemed unbearable to Riva at the time. And yet here she was again, slowly dying on the inside. This wasn’t how she’d planned for life to go—certainly not how it was supposed to happen. Despite her small frame and striking natural beauty, this spiritual powerhouse has taken more hits in the past five years than most people face over an entire lifetime. And today, through all the betrayal, scandal, death and struggles surrounding her marriage and ministry, Riva continues to take hits for the kingdom of God. Yet something is different now. Something deep, she says, that has not only brought healing and wholeness, but has also set her free to enjoy the new life she’s found in God. As dreadful as those words were, they confirmed a gnawing feeling that had anchored in the pit of Riva’s stomach days before. She had been married to Zachery for 14 years but knew something in their marriage and in her husband had changed. What eluded her was how they could end up here after building and enduring so much together. Their marriage story had been one of polar opposites converging. Riva grew up in a middle-class, Christian home in Mitchellville, Md., with her mother, a ranking federal government official, father, a state government regional director and former recon Marine, and twin sister, Rená. By the time she was 12, Riva served as a junior trustee at her church. At 19, she and her sister were the youngest deacons in their Baltimore congregation. Riva was also committed to remaining sexually pure until marriage. After earning a bachelor’s degree in hospital administration at the University of Maryland, Baltimore County, she enrolled in a Bible school at her church and met Zachery—a handsome, brash fellow student who wore a leather farmer’s jumpsuit (trendy at the time) the first time they saw each other. His passion for God was magnetic, and his boldness for the Word (he was called one of the “sons of thunder” at his church) attracted Riva. Though their pasts were galaxies apart—he had been a drug dealer and addict, and was charged with attempted murder before getting saved at age 19—they married and two years later were sent out by their home church to Orlando, Fla., to plant New Destiny Christian Center (NDCC) in 1996. Those early years were anything but easy. Not only was the couple adjusting to newlywed life, prior to leaving Maryland their second child was diagnosed with cerebral palsy. She worked a secular job to support the family, which grew to include four children, while Zachery focused on the ministry. And then it happened. Within five years what started as four people meeting in a hotel room grew into a church of 8,000 congregating on a 21-acre campus. NDCC became a prominent force in the local community, aiding thousands through job fairs and supplying the needy with food, clothes, toys, cars and even houses. As the church grew in size, so did its sphere of ministry: NDCC’s TV and radio broadcasts reached a potential 100 million homes daily. Riva and “Pastor Zach” appeared to be the model ministry couple as they testified over the airwaves of Jesus’ saving power. But the meteoric rise, as often is the case, came with a hefty price. Riva sensed the church’s vision shifting; numbers were becoming more important than God’s direction and, in her words, the “anointing wasn’t there.” So when she began having that gnawing feeling that Zachery was not being faithful—a sense undergirded by the intercessor’s words—Riva was determined to confront the matter head-on. Zachery confessed to having an affair, though at the time he didn’t reveal the full story. Regardless, the dying process had begun, and Riva could feel its deep sting. Determined to heal their marriage, the couple decided not to alert their congregation and, with only a few family members and close friends aware of their struggle, began counseling. Among those in the loop was Zachery and Riva’s spiritual father, Douglas Chukwuemeka, the senior pastor of New Destiny Christian Church in Laveen, Ariz., who led Zachery to the Lord in 1991. Chukwuemeka had been Zachery’s best man in the Tims’ wedding and a close confidant to both of them throughout the years. He saw the pain Riva was going through and marveled at how she handled the situation. “Riva was so graceful and so determined to try to make things work,” Chukwuemeka says now. “She never talked bad about things. She never defamed the marriage or [Zachery’s] name or anything like that. She was just the opposite; she was always reaching out. Something in Zachery remained unchanged, however. For months the couple confided in counselors Zachery recommended, but Riva soon began to feel that the goal of the sessions wasn’t the reconciliation of their marriage but to get “Pastor Zach” strong enough to continue in the ministry. After several months of unfruitful counseling—including female leaders in the body of Christ telling her that “men of great influence and power have bigger sexual appetites” and “you might not be the only lady, but you are the first lady”—Riva became distraught by the unbiblical advice being leveled at her. And while her husband remained in the pulpit, their marriage only grew worse. Riva remained separated, hoping this would jolt her husband into authentic change and prompt an eventual reconciliation. Instead, church leaders stripped Riva of her title as co-pastor at NDCC and her full-time job at the church. She was left with no job or health insurance raising four kids—including her special-needs son. The new pressures took a physical toll on Riva’s body. She couldn’t eat or sleep for days at a time and was in and out of the hospital with various ailments, including a low blood count and low heart rate. “There were times when I literally thought I would die. My world was falling apart, and I felt there was nothing I could do but stand by helplessly,” she writes in her new book, When It All Falls Apart (see sidebar below). Adding to her pain, the rumor mill continued to churn out lies about Riva and her marriage. Ministry friends she thought would support her through the trial instead took sides with Zachery or disappeared altogether. Though she wanted to clear the air with the truth, she distinctly heard God tell her not to defend herself to the public, that He would fight her battle. Once again, this was anything but an easy choice. During the two years of separation—what Riva describes as a time she and Zachery were “still married but living as though we were divorced”—the wounds of rejection and abandonment led Riva into deep depression. Despite days when she felt as if she couldn’t get out of bed, she knew she could cling to God. She didn’t understand why He had allowed her world to be turned upside-down, nor did the pain subside; but she continued to seek the Lord in prayer and devour His Word. And in response, she watched God show up in miraculous ways as she re-entered the secular working world and essentially raised her children alone. A handful of friends stood by her side, covering her in prayer when she was too weak to fight for herself. Among those to show her support was Isaac Pitre, who had been friends with Riva and Zachery for years. 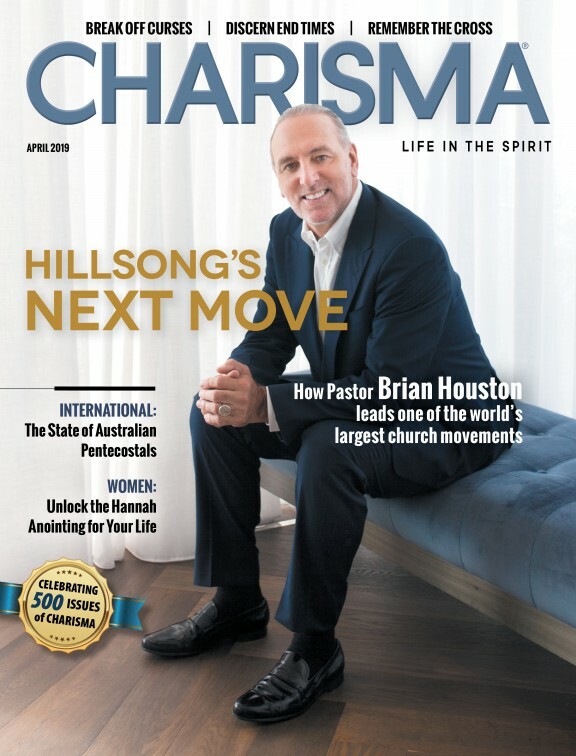 Though the senior pastor of Christ Nations Church in Texarkana, Texas, was shocked by the scandalous events, he wasn’t surprised to see Riva respond with such spiritual maturity and grace. Riva is also upfront in her new book about the fear that kept her silent when she knew God was instructing her to speak out, or that kept her caring more about her husband’s desires than God’s. “I had completely submitted to man but not to God,” she admits. As God strengthened her and drew her closer to Him, the unexpected occurred: She began to see Zachery and her situation in a different light. No longer did she see herself as the victim but rather a victor through Christ. Though it was a grueling journey at times, Riva obeyed the Holy Spirit’s promptings to pray for her husband, even as news of more affairs grew. As forgiveness began to rise in Riva, she also gained a strong compassion for other couples affected by adultery. Women and men alike began approaching her for advice on how to forgive their spouses or loved ones and live to their fullest. Seeing the need for this type of ministry in the body of Christ, Riva was inspired to write When It All Falls Apart. Riva says she officially filed for divorce in 2009 after learning of Zachery’s ongoing extramarital affairs. As strong as Riva was becoming in her brokenness before the Lord, her return to church leadership was seemingly out of the question. Though she was frequently contacted to minister publicly, she’d resigned that she would never again pastor a church. God, of course, had other plans. What started as an outreach ministry to help Orlando’s hurting and destitute people quickly evolved into a full-blown church. Jones can attest that it wasn’t easy for Riva when she heard the Lord telling her to begin Majestic Life Ministries. With $700 in the bank Riva opened the doors to Majestic Life with a vision to minister, mentor, motivate and mature people for the majestic life. In two years the church has bloomed to 300 members—without any advertising—and includes a nationally recognized healing room and a strong deliverance ministry. In typical redemptive fashion, God has used Riva’s life and ministry to establish a safe place for healing; congregants consistently minister to the down-and-out, even when those they’re trying to love reject them. That was the case with Sonia Vega, a 28-year-old former lesbian who says it was a team effort that helped her leave the homosexual lifestyle when she joined Majestic Life almost two years ago. She credits Riva and other women for teaching her how to stand strong spiritually and how to walk and talk as a lady. Vega and others are living evidence of how God has used Riva’s painful journey to bring new life to others. Yet the Majestic Life pastor has also seen God’s hand moving to rebuild the physical ministry vehicles she once lost. First, a pastor gave her the lease to a fully functioning church building; then Majestic Life was able to raise $95,000 to furnish the facility in one year; and most recently the ministry received an amazing deal to broadcast on a local radio station five times a week. But her faith was tried again—this time in an unprecedented way—on a cloudless Sunday morning last August that soon grew dark for Riva. As she walked into church, Riva had received word of Zachery’s death, ironically, via her ex-husband’s girlfriend. She returned home to verify the information with a New York morgue and inform her children. Once again, she found herself grieving the loss of a man she had spent more than half her life with. Riva took off a month from preaching to grieve and be with her children. It was a difficult time, but she knew God would once again see her through it. She now endeavors to start a center with her ex-husband’s name for ministers who need a place to recoup and heal. Yet since then she’s also had to deal with ongoing drama surrounding the church she co-founded. After publicly addressing NDCC members in the days following Zachery’s death, questions arose about Riva’s possible return as pastor. But in December, the church’s board of directors reportedly shunned her from being part of the search for a new pastor—a search in which Bishop I.V. Hillard, who was asked to help oversee the selection, publicly resigned from a process he claimed was “deceptive and that compromises previously agreed upon procedures and protocol.” And when Paula White of Without Walls International Church in Tampa, Fla., was abruptly named as senior pastor of NDCC, church members and ministry associates alike protested the decision while questioning White’s integrity in the process. Riva did more than protest; she filed a lawsuit against NDCC’s board of directors and White to challenge White’s selection. The board claimed Riva’s case had no legal standing given a marriage settlement agreement she signed in 2009, and less than a week later, she dropped the suit. Still, the confusion surrounding NDCC lingers with no resolve—much like the facts regarding Zachery’s death. This soap opera-like atmosphere may be new for Riva, but the reminders of death’s sting are not. Just as she grieved the divorce from the man she thought she’d grow old with, just as she grieved the sudden loss of her children’s father, she now grieves the turmoil within a congregation she helped to birth. Yet if anyone can attest to God’s power to turn grief into joy and bring life from death, it’s Riva Tims. Felicia Abraham is the associate editor for Charisma. She visited Majestic Life Ministries to file this report. If you expected Riva Tims to air out her ex-husband’s dirty laundry in her new book, When It All Falls Apart, think again. Riva’s uplifting account blends the details of her painful story with powerful teaching to point readers toward God’s process for true healing and wholeness. Here’s a sampling from the book, which will be available next month online and in bookstores across the nation. I remember sitting on my bed in the home I’d just moved into, thinking, “It’s official.” The divorce was not final, but I could sense the marriage was over. I felt completely uncovered. The new home had no window treatments yet, so as night fell the darkness encroached into our home. I felt a similar darkness invading my heart. My children and I were now on our own to make do with what we had. How would I make it alone? My husband was all I had known. Darkness continued to fill our house, still cluttered with unpacked boxes. Like a child, I wanted to sleep with a night light. As it grew darker outside, it seemed to grow darker in my heart. I recall inviting all the children to come sleep in Mommy’s room. Unfortunately, they had grown out of that stage and basically looked at me as if I was crazy. They were each used to sleeping alone; I was not. I kept the television and the lights on all night to drive away the dark loneliness. Death, financial collapse and betrayal can leave us feeling lonely in heart and mind. As a result, reality becomes hard to discern, heightening feelings of uncertainty, especially at night. In the night, the world grows quiet and time seems to slow. It is when you come face-to-face with your thoughts and hurts. In the night friends and family are not easily accessible. Spirits of discouragement and depression flourish as fear tightens its grip. I had to learn how to maneuver through the night alone. My bed was no longer a place of rest, comfort and love. Night became agonizing, even unbearable. I developed more compassion for those who turn to alcohol, promiscuity or prescription drugs to deal with crisis. I thank God for Christ; He became my sword and shield. When I finally stopped crying, I developed a different kind of closeness to my Master, and He gave me comfort and peace. The transformative lesson God taught me in that dark hour is that the morning will come when you learn how to endure the night. To endure means to suffer or tolerate. I didn’t want to suffer or tolerate the night, but that only delayed my morning.